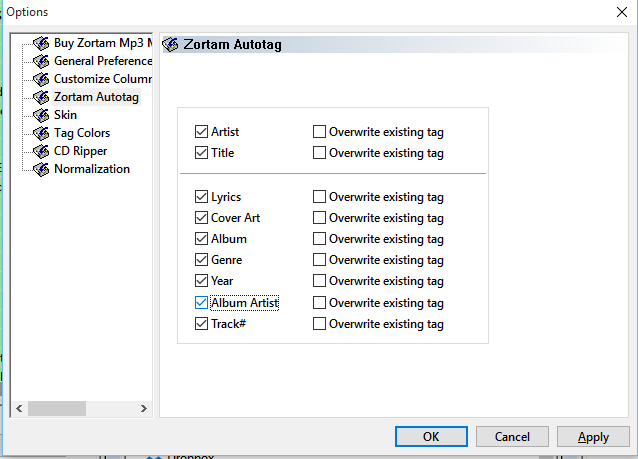 By default auto tag process searches for all tags ( artist, title, lyrics, cover art, album, genre, year, album artist, track number) but it will not no overwrite existing tags in your file. That means that if tags already exist in your file auto tagger will not change it although your current tags might be incorrect. If you check “Overwrite existing tag” it will overwrite (replace) existing tag with the results from auto tag process. If you don’t check specific tag (for example Album Artist) it will not be written to ID3 tags at all. 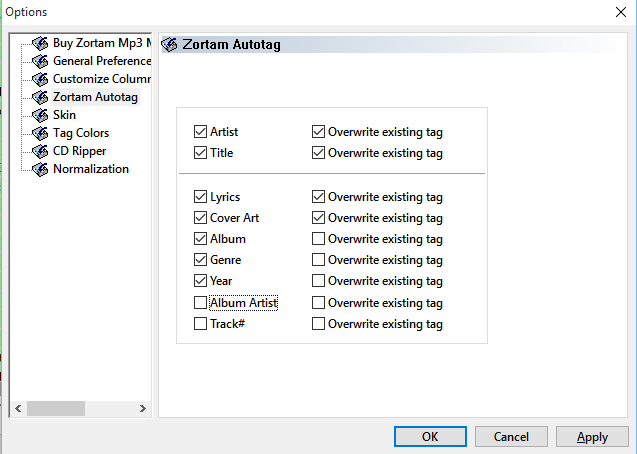 This entry was posted in How To and tagged auto tag mp3 on February 27, 2017 by Zortam Support.